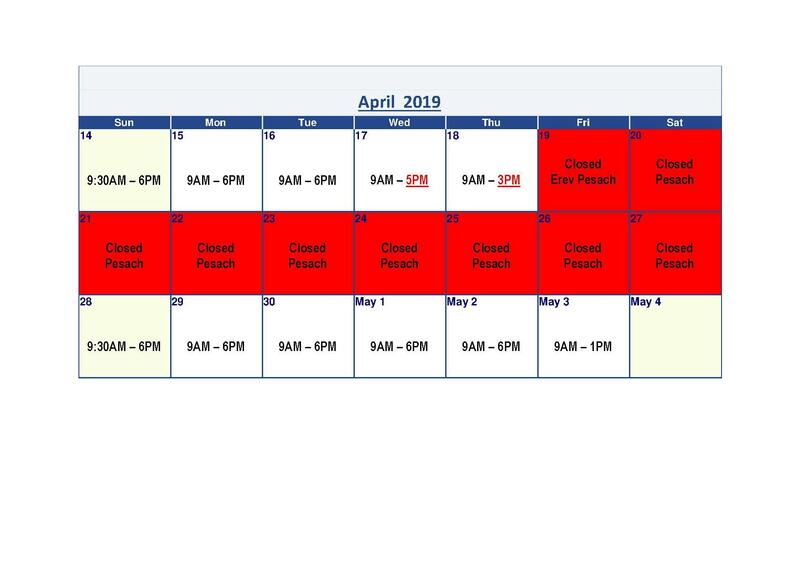 April 17 Closing 5PM, April 18 3PM, April 19 - April 27 Closed. We will reopen 9:30 Sunday April 28. If you have an emergency while we are closed that needs immediate assistance call 718-305-6762 and leave a detailed message and someone from our team will call you back.